Have you struggled to find a medical treatment option that provides you the pain relief you’ve been seeking for so long? It traditional medicine hasn’t solved your issues, it may be time to consider an alternative treatment that is becoming increasingly more popular every year. At Advanced Medical of Twin Cities, we are an acupuncturist nearby that can provide you with natural pain relief from the injury or ailment that you’ve been struggling with. While acupuncture may be something that you haven’t tried before, rest assured that it has been around for more than five thousand years! Acupuncture is a form of traditional Chinese medicine where our acupuncturist will insert tiny needles into targeted areas of the body to help alleviate pain. Don’t be alarmed by the fact that needles are involved. These needles are incredibly small and the most you’ll feel is a slight tingling when the needle is inserted. 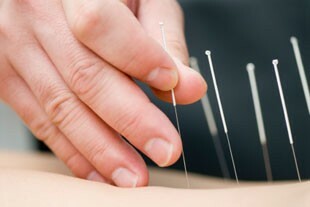 Fear of needles is one of the biggest reasons why individuals decide to avoid visiting the acupuncturist. At Advanced Medical of Twin Cities, we do whatever it takes to ensure that our acupuncture patients are totally comfortable with the process. Acupuncture helps stimulate your body so that it begins to heal naturally, rather than you having to rely on pain medication or an invasive surgery. What is so great about having an acupuncturist nearby is that this type of holistic medicine can be used to help with a wide range of conditions and injuries. Over the years, our acupuncturists have helped individuals with sports injuries, arthritis, depression, dizziness, fibromyalgia, infertility, pregnancy symptoms, ulcers, skin issues, whiplash, urinary issues, headaches, etc. As you can see, acupuncture can help individuals experience natural pain relief from all sorts of medical issues. To top it off, our experienced medical professionals can incorporate acupuncture with our other natural pain relief treatment options including chiropractic care and massage therapy. So, if you are ready to try another form of medical treatment to help you with the condition or injury that you’re dealing with, it’s time for you to search for an acupuncturist nearby. Lucky for you, our team at Advanced Medical of Twin Cities is right around the corner. To schedule an acupuncture appointment with our team, give us a call today at (763) 541-1280. Quickly, we’ll work to provide you with a customized treatment plan focused on providing natural pain relief. Advanced Medical of Twin Cities offers you the services of medical doctors, chiropractors, rehab therapists, and other health care providers working together for your benefit! Is there a Time Limit to file a Claim for a Car Accident?